February is a great time to be in the kitchen. Spring hasn’t quite sprung and chicories and root vegetables are still widely available. Fennel is everywhere and winter citrus brightens up crispy salads at home. The weather is still crisp too this time of year and we find ourselves wearing winter coats out to the market while dreaming of warm spring days. February is winter’s last run before new life arrives in March. 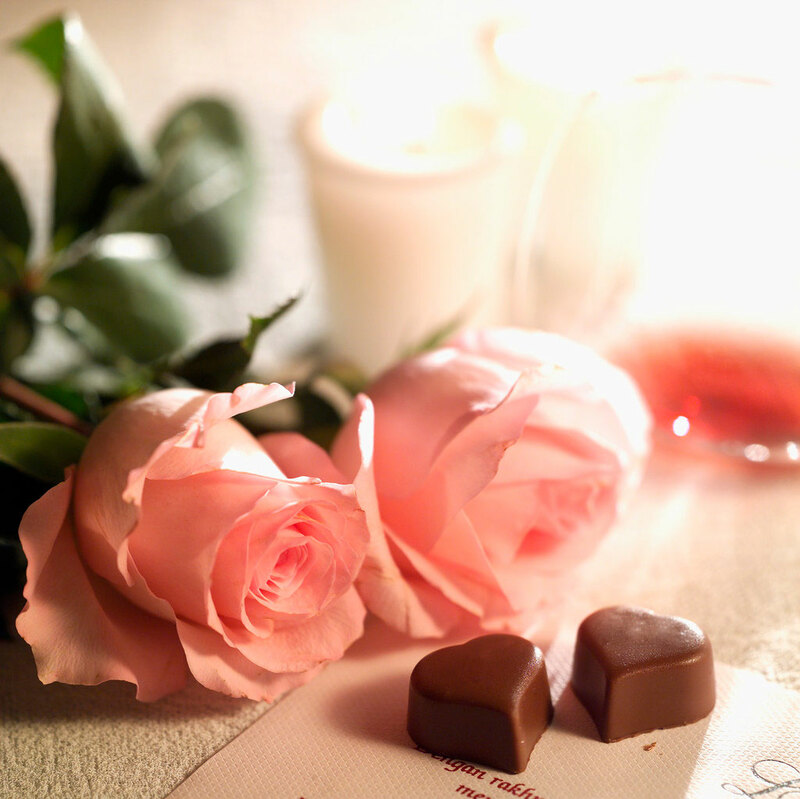 February is also the month of one of our favorite holidays – Valentine’s Day! We love Valentine’s Day because it is a day to sit down and share a delicious meal with someone you love. We also love Valentine’s Day because it is an excuse to buy, exchange and eat boxes of chocolates! Whether you are celebrating romantically, with kids, or with close friends, we all have something to celebrate this year. And with an abundance of fresh produce in season, why not celebrate at home for a change? Create a celebratory 3-course meal for your loved ones featuring all this season has to offer. From fresh strawberries to roasted cauliflower and homemade pickled turnips, the possibilities are endless. We look forward to seeing what you create! In Japan, we celebrate Setsubun or “Seasonal Division” in February. It marks the day before the beginning of spring in the lunar calendar and is usually held on the 3rd or 4th day of the month. Spring Setsubun can be thought of as a kind of New Year’s Eve. It is the time to ward away evil spirits and make room for spring. The day is celebrated by throwing roasted beans around our homes and at temples and shrines while shouting “Oni wa soto! Fuku wa uchi!” meaning “Demons out! Luck in!” This ritual symbolizes driving off negative energy as well as an invitation to happiness. The timing is perfect as it is also a time to bid farewell to the cold dark of winter and welcome the new life of spring. We are wishing everyone a very happy Setsubun and a new season filled with happiness and good energy! Ayatori is a game of making string figures by using your fingers and weaving the strings together to create the shapes. It can be played by two or alone. A string about 120 cm (47 inches) long is tied at the ends to form a loop. This loop of string is intertwined to form shapes like broom, flower, airplane and frog. One of the basic shapes to construct is a broom. Take a sting and give it a try. Take your string and pull it all the way down. With your other hand make a big loop from the inside and hook it with your index finger through the small loop. Next pull the small loops through the big ones. Now flip the loops over and release your hand. Flip the string marked with the star, flip it over your finger and pull it towards you…There’s your broom! Everyone is talking about Cacao! You see it on chocolate bars, in cookies and even in breakfast smoothies. It is claimed to be a super food packed with health benefits, but what is it? Is it just a fancy name for chocolate? The answer is yes and no. Cacao or cocoa beans are the dried and fully fermented beans that give us cocoa butter and cocoa solids, and yes, also the base for chocolate. They are native to the Americas and may have originated in the Amazon, although we can’t be sure. Today more than 3 million tons of cocoa are processed globally each year. Most of the cocoa or cacao processed today is turned into chocolate. Some however, are sold as cacao nibs. Cacao nibs are pure cocoa beans that have been roasted and broken up into bits resembling chocolate chunks. They are similar to coffee beans in flavor and a bit crunchier in texture. Can you imagine tasting pure chocolate without sugar? That’s a cacao nib. It’s slightly bitter, but nutty with a little spice and a nice crunch. These little bites are rich and will leave you far more satisfied than a sugary chocolate bar. You can do all kind of things with cacao nibs. Throw them in your next batch of cookies alongside mini chocolate chips, sprinkle them on top of your ice cream sundae for a nutty crunch or even try them at breakfast with yogurt to get you going in the morning. Cacao nibs are easy to find online and in some specialty stores. They will be sure to send your Valentine’s Day dessert over the edge of decadence. So what are you waiting for? Go out and get some pure cacao nibs today. Taste something new and find creative ways to incorporate this super food into your kitchen. We look forward to seeing all of your bold and crunchy new creations! Happy Cooking! There is a distinct line of amazing rice cookers in the Zojirushi family. Each one has something unique that it offers to each owner. 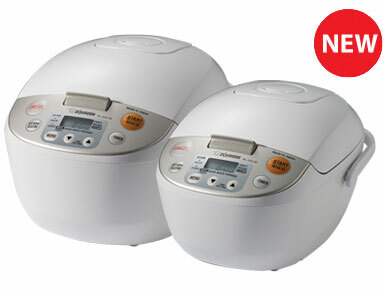 This month we would like to spotlight the Micom Rice Cooker & Warmer NL-AAC. If you’re looking for a home appliance that gives you some amazing versatility you’ll love this machine! It serves both as a rice cooker and a steamer. One machine that can prepare an entire meal! Offering the fuzzy logic technology this rice cooker includes multiple cooking settings to allow you to make perfect rice along with a side!